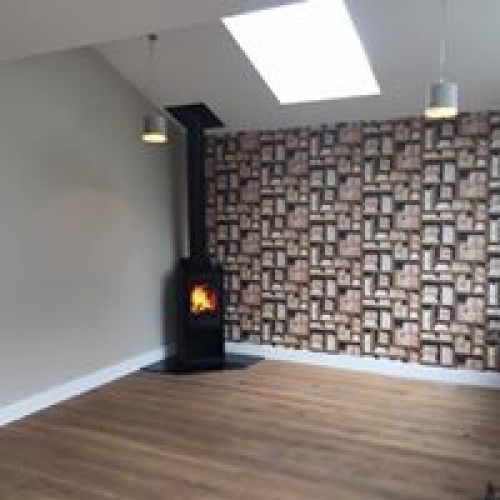 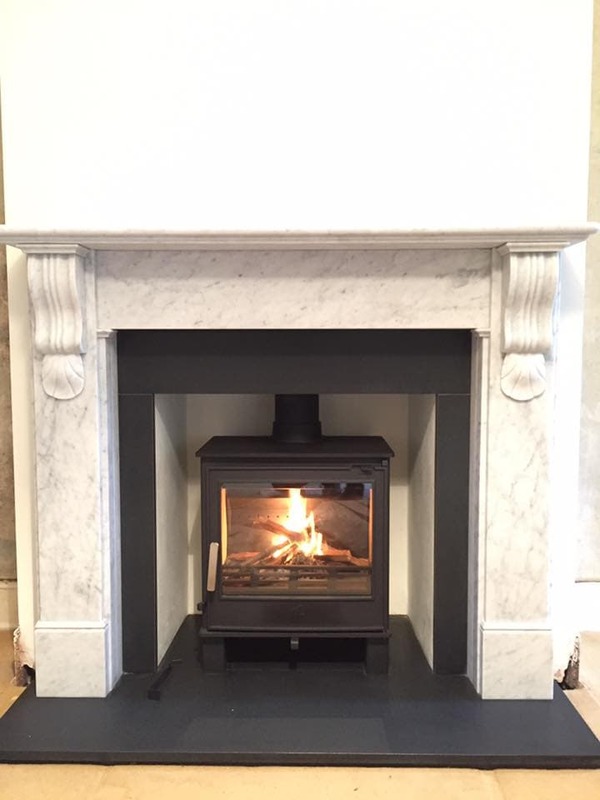 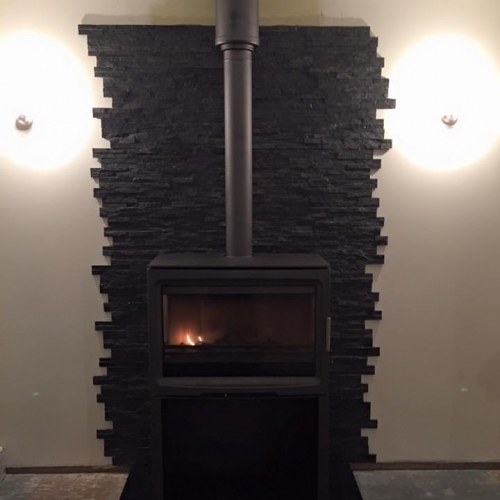 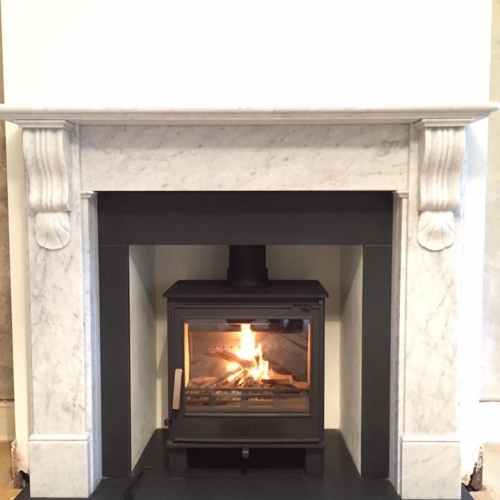 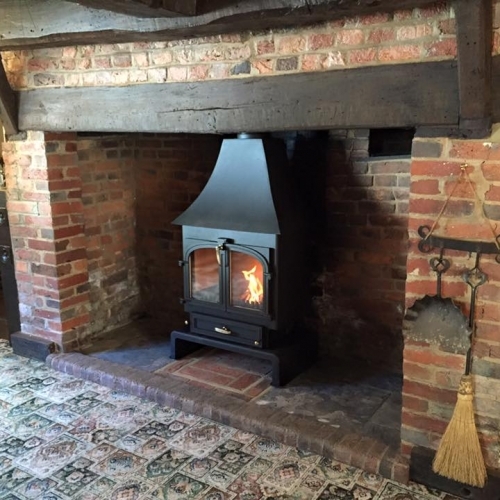 Take a look at just some of the many stoves and fireplaces we have installed. 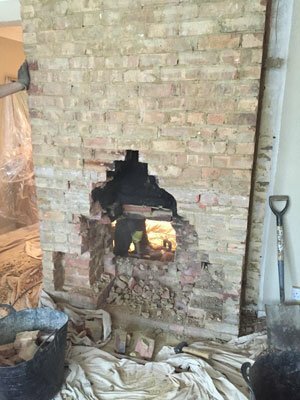 This was an outside wall but with no chimney. 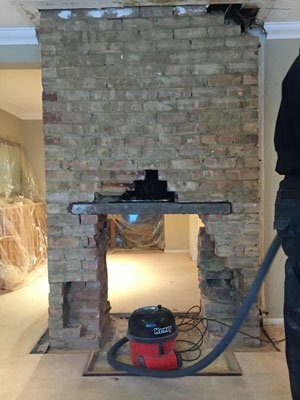 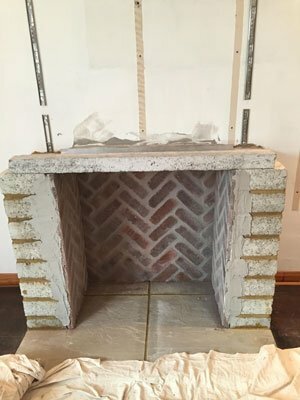 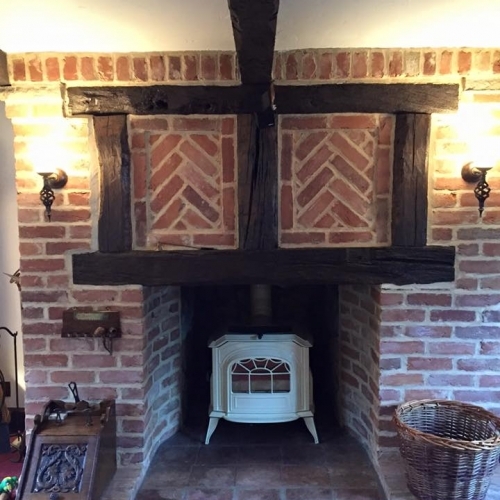 A stone hearth was built and a chimney breast created with block-work and herringbone brickwork. 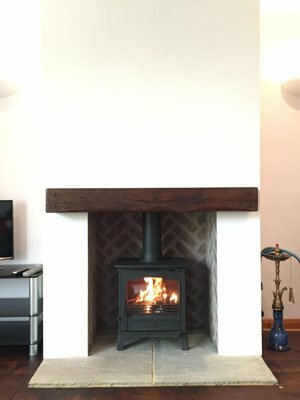 A concrete lintel faced with a real oak bressumer beam was fitted and the chimney breast continued to ceiling level. 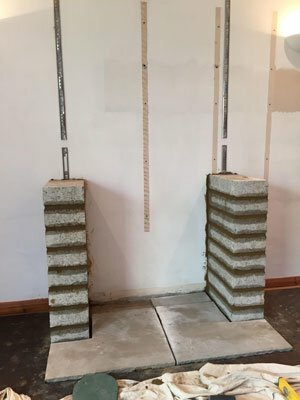 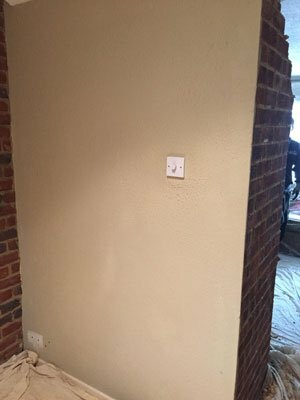 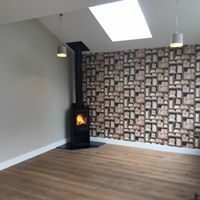 The wall was then plastered and finished and the stove pipe connected to a twin-wall chimney system which passed through the wall and up the outside of the building. 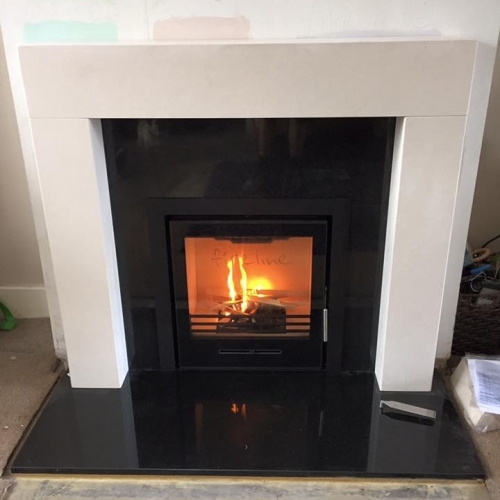 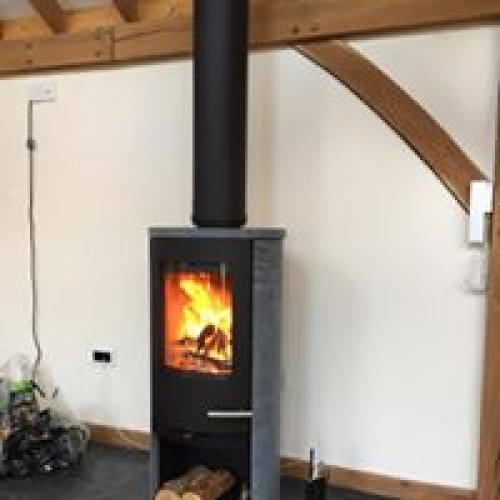 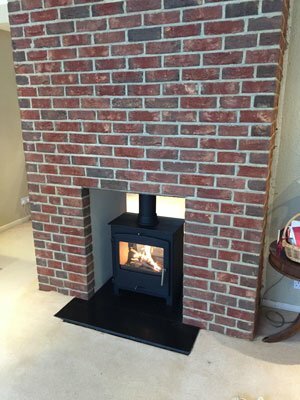 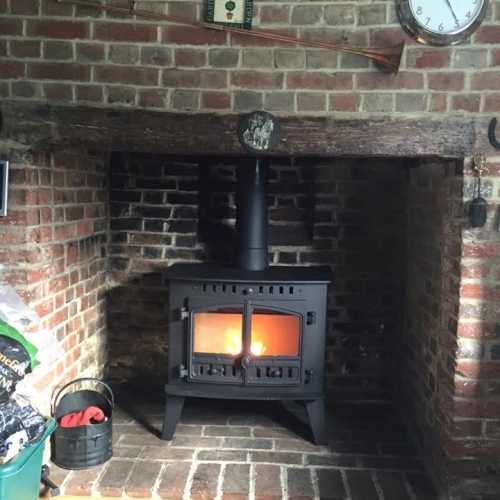 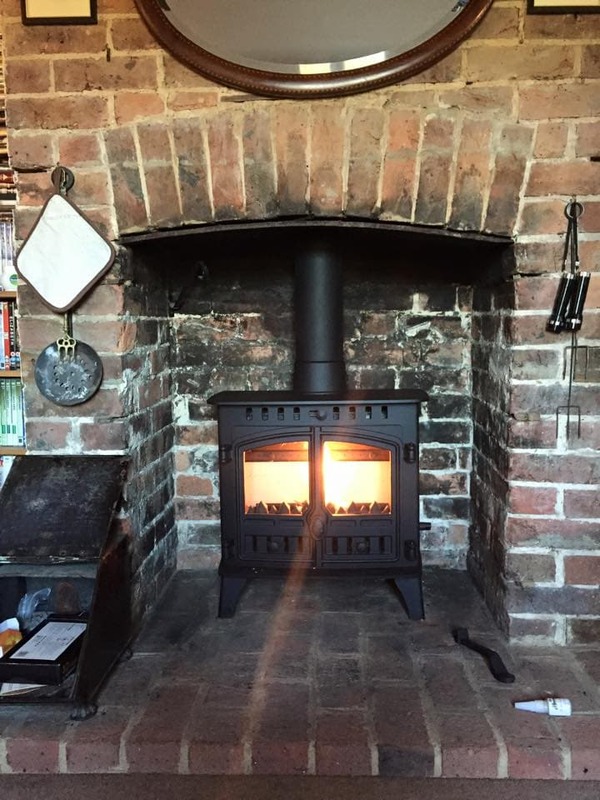 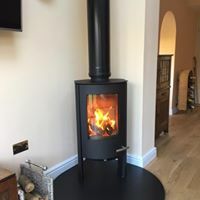 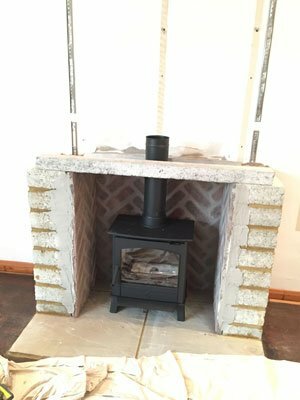 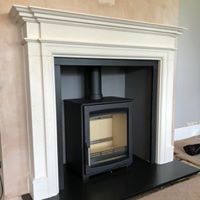 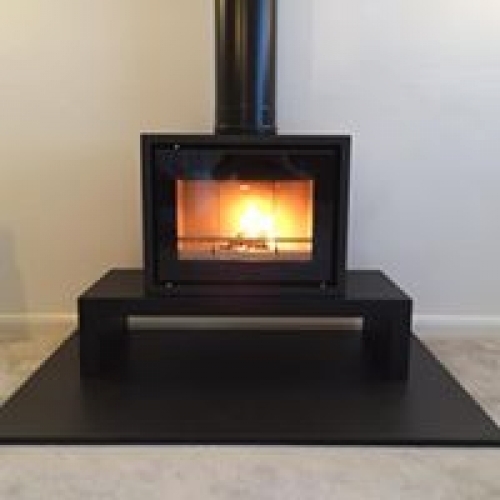 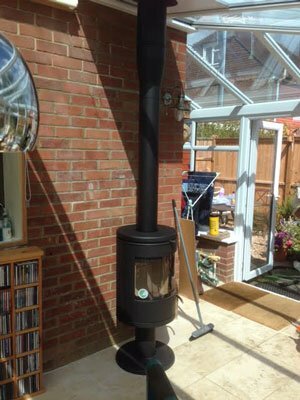 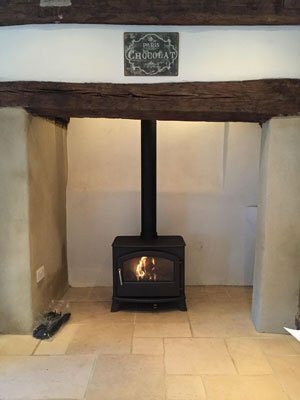 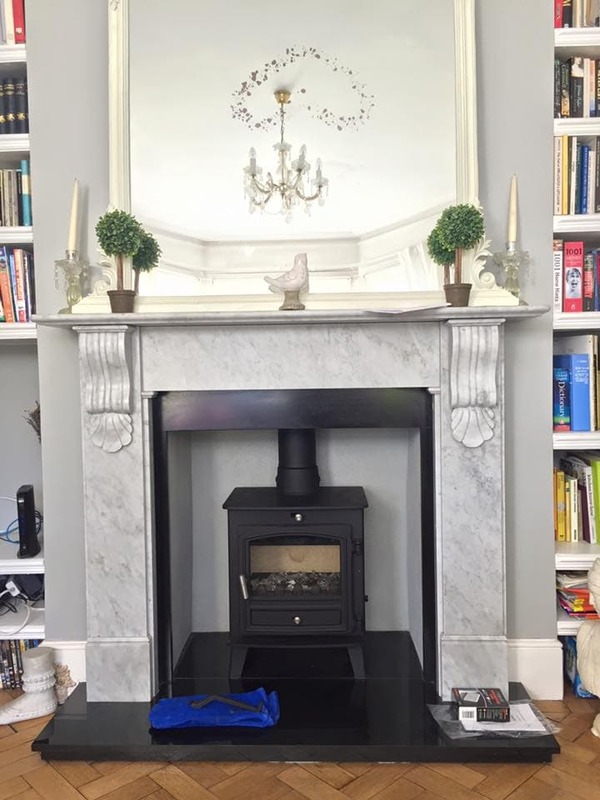 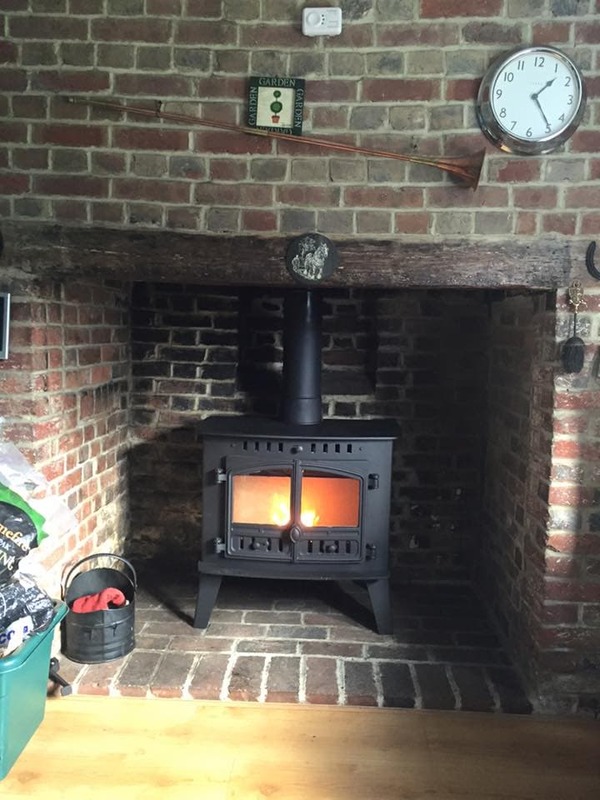 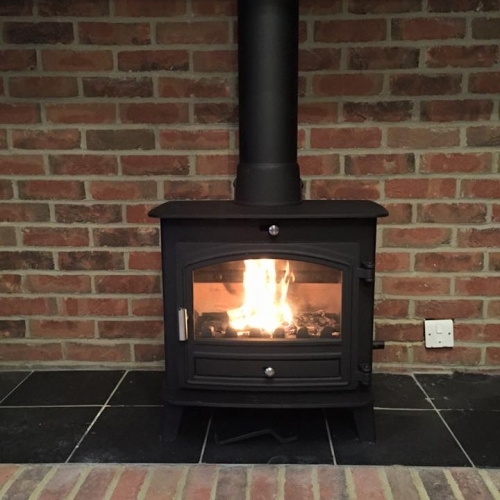 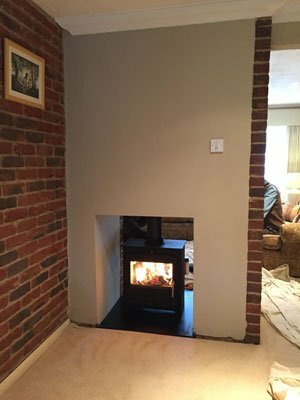 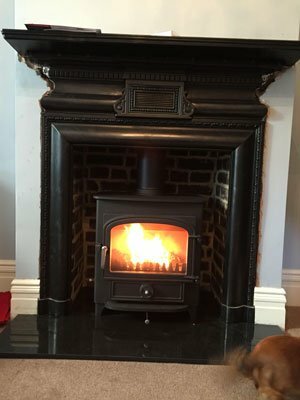 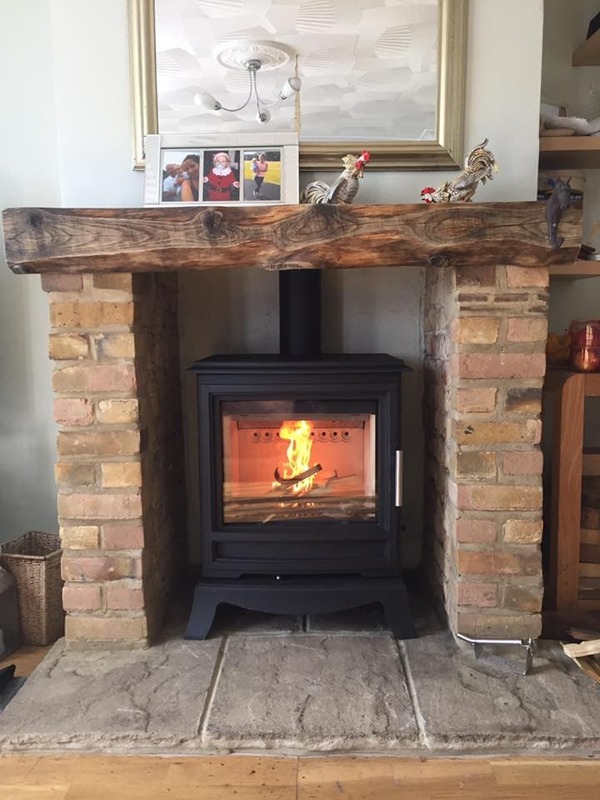 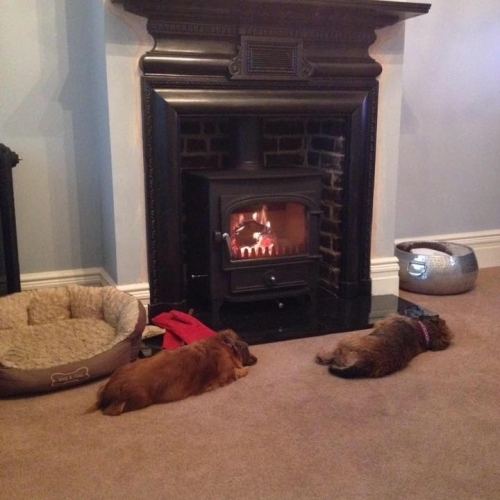 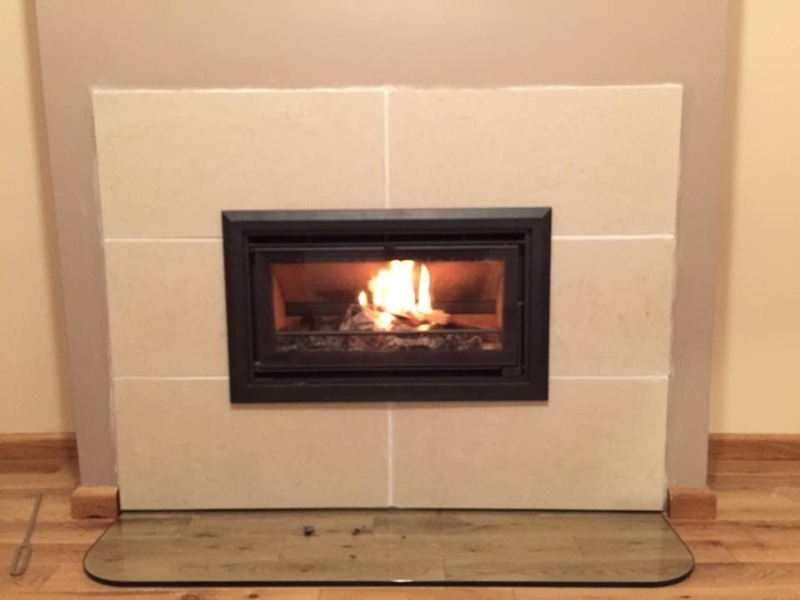 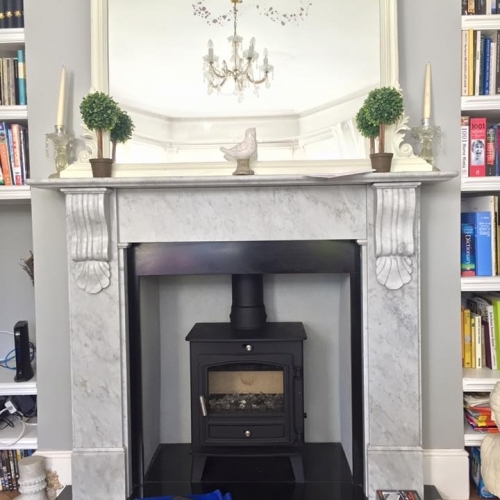 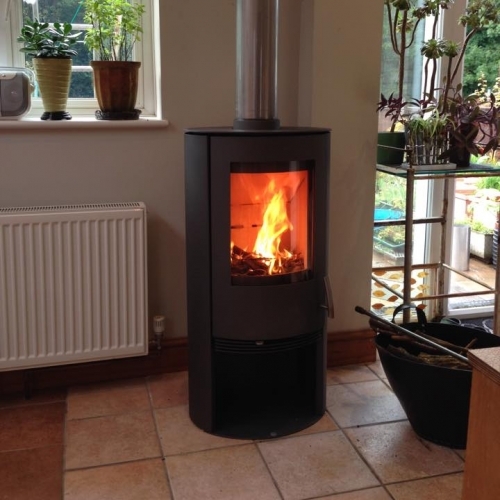 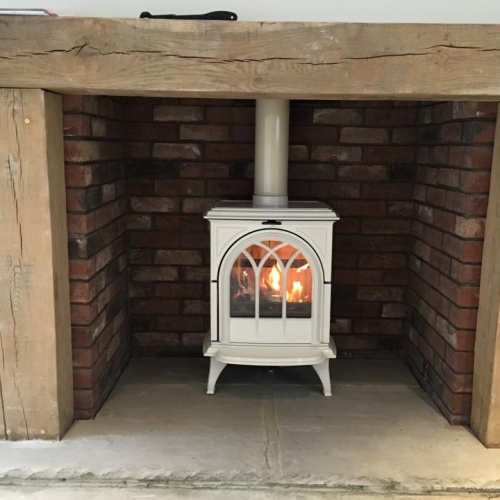 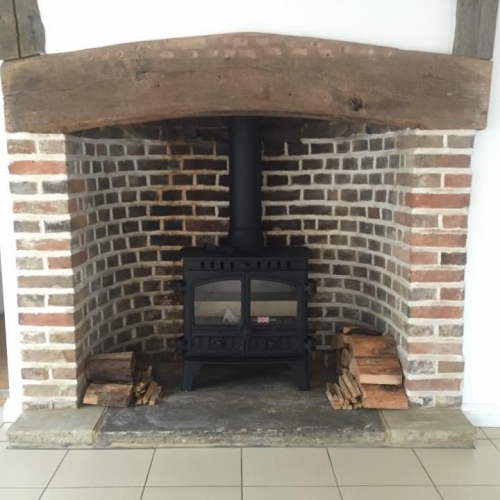 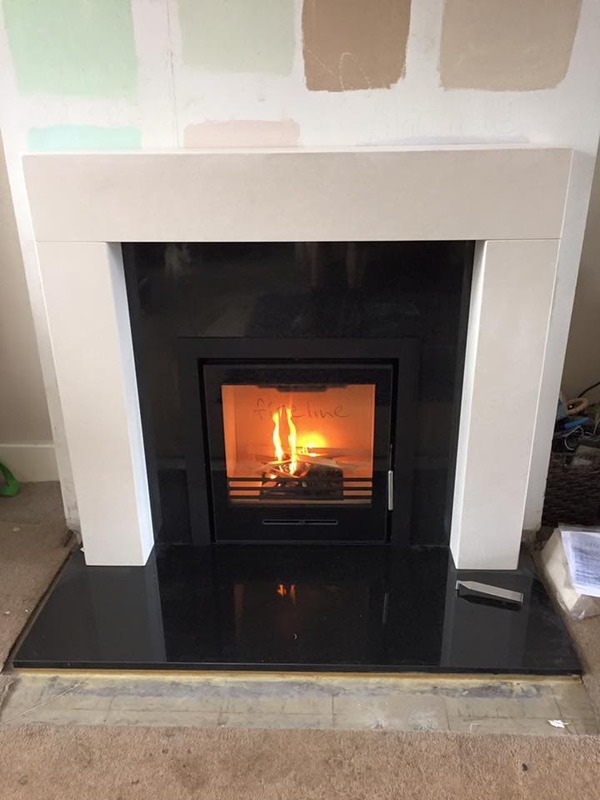 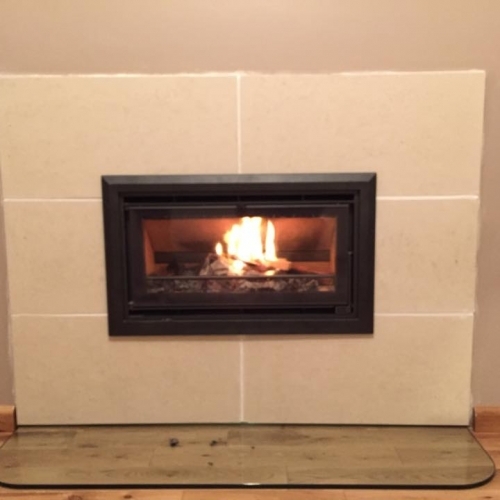 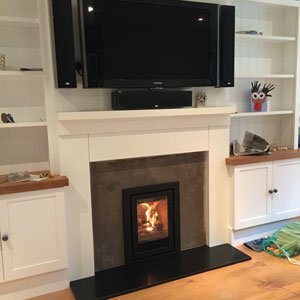 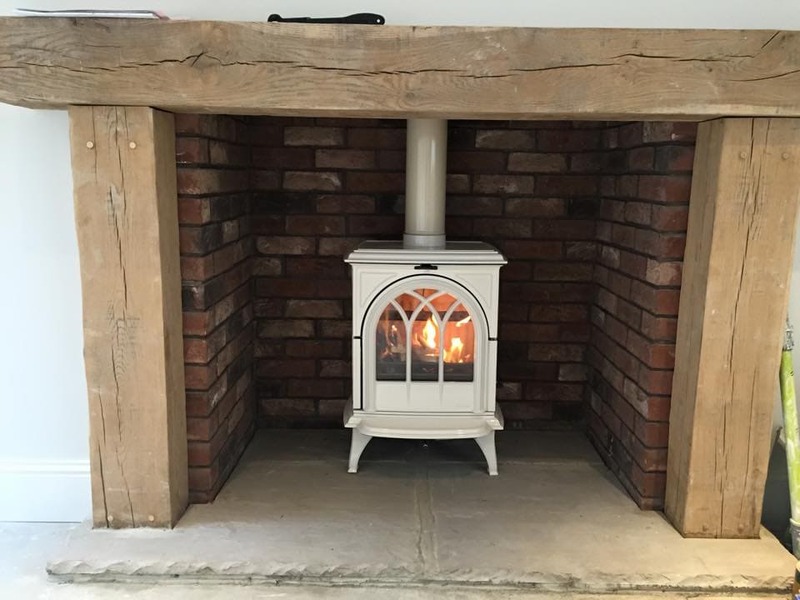 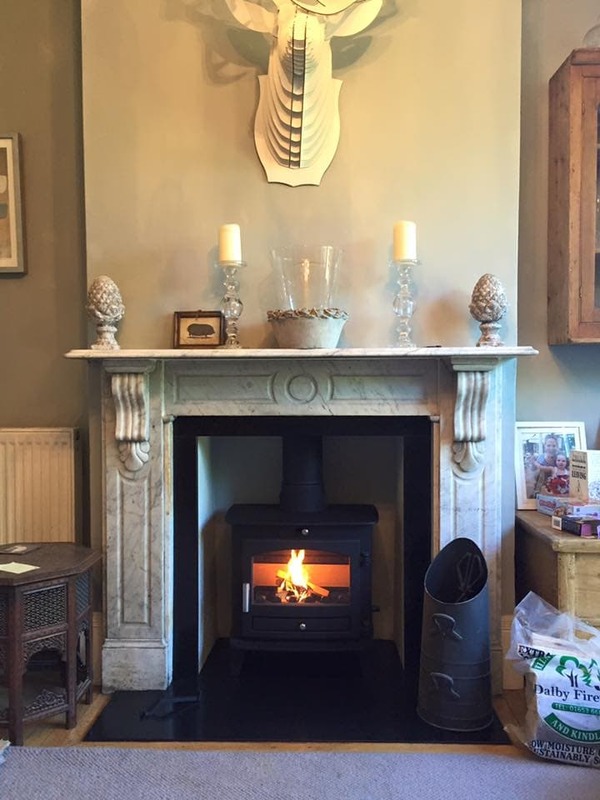 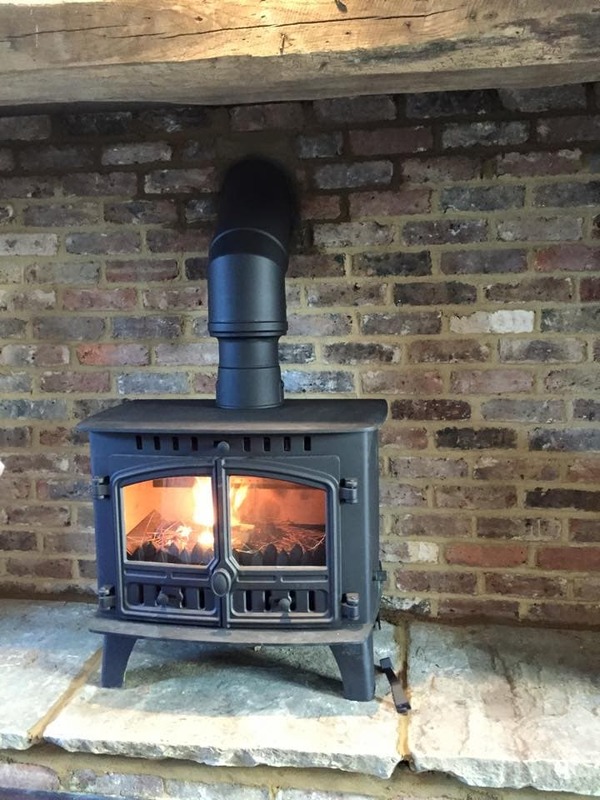 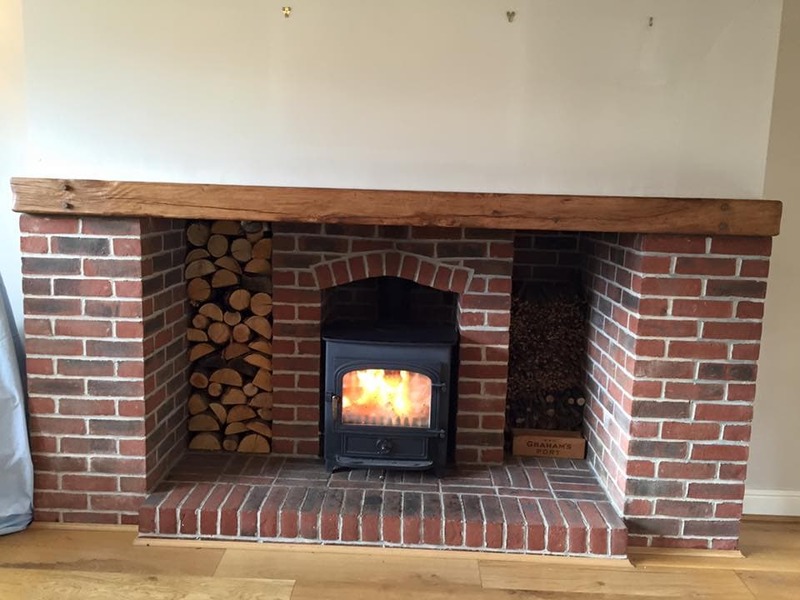 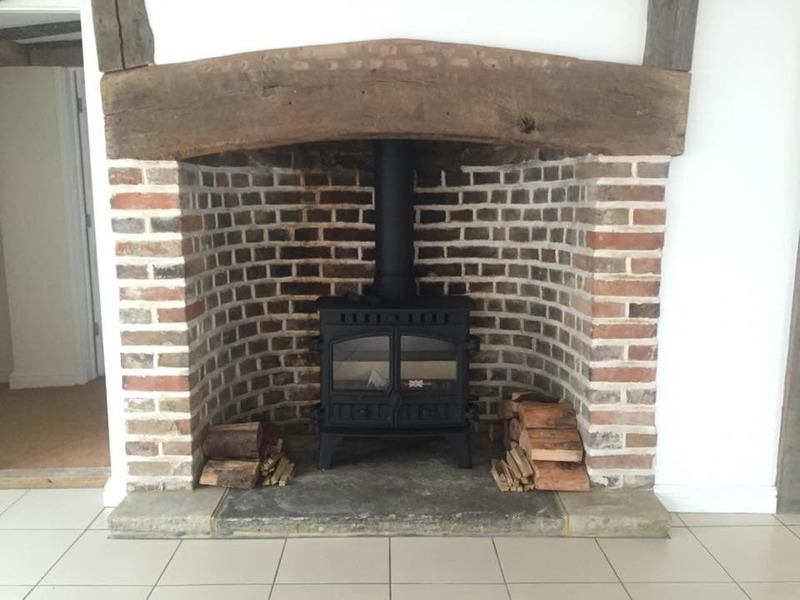 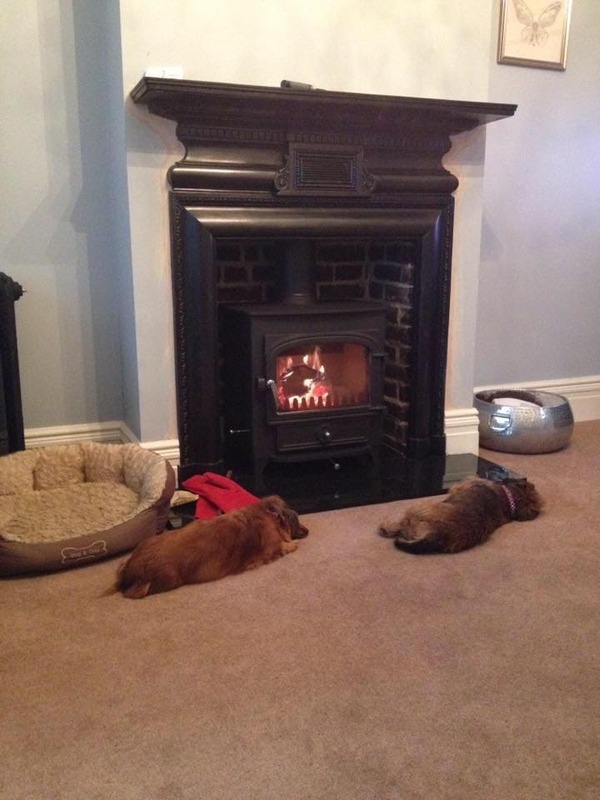 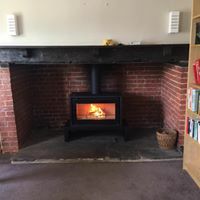 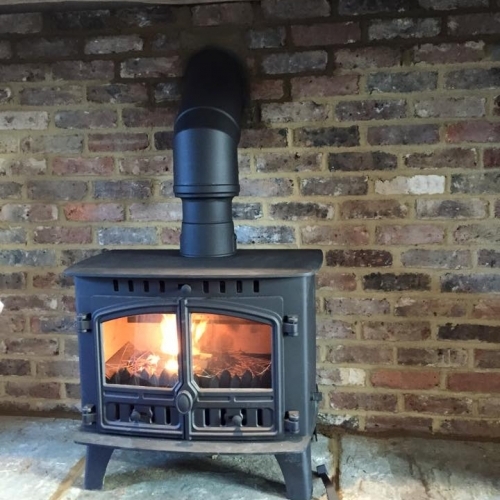 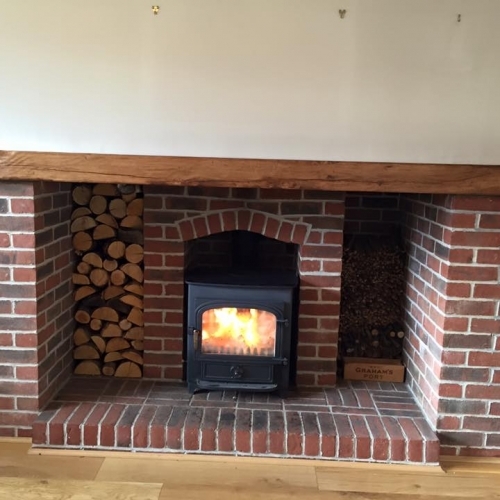 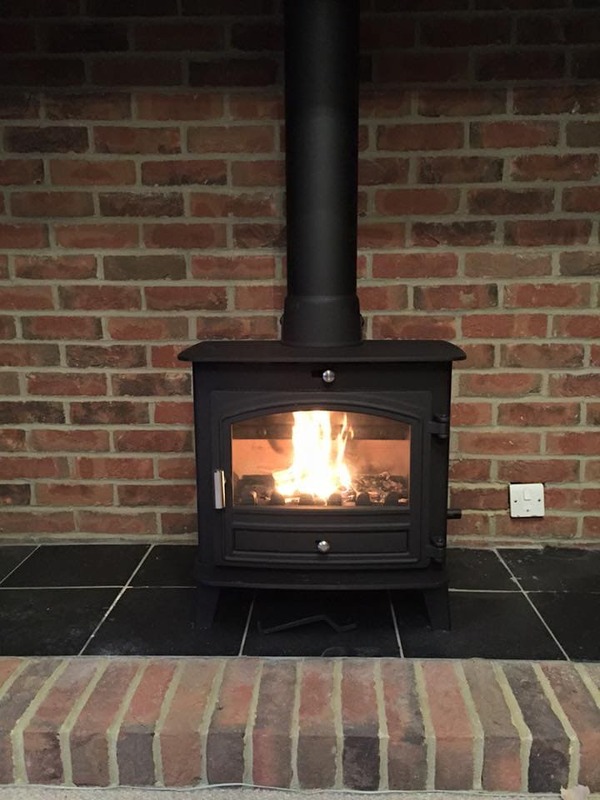 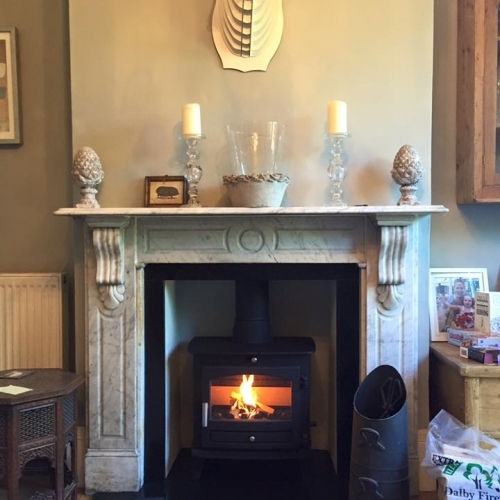 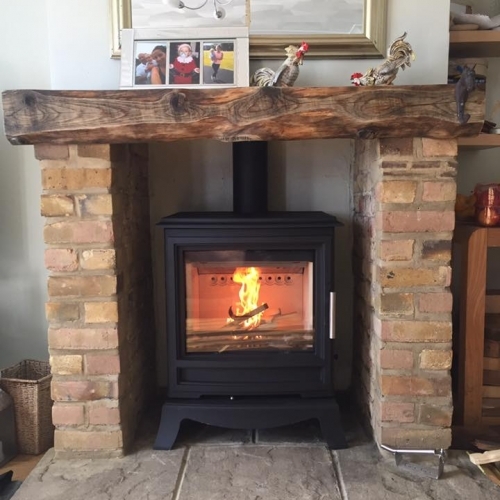 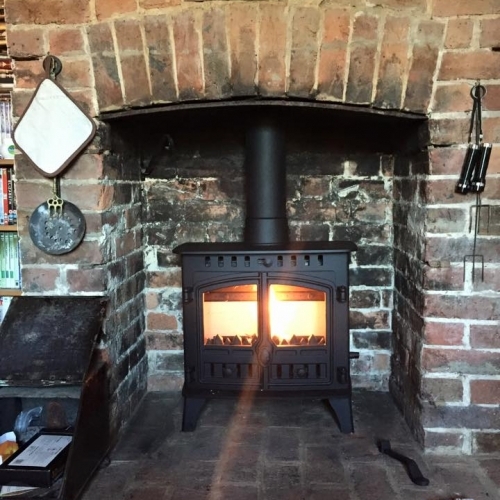 This is the supply and installation of a double-sided stove for Mr Milbery of Maidstone (below). 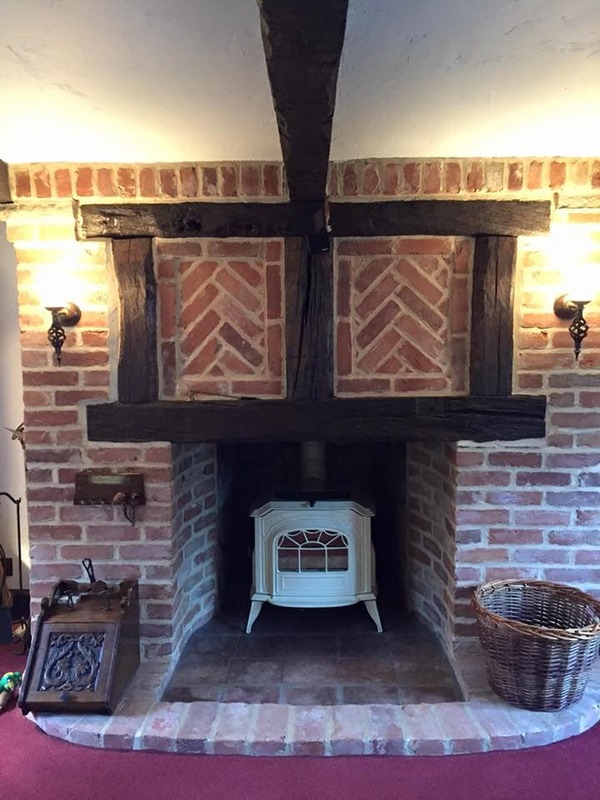 It included building modification and “breaking through” to form a back-to-back double opening and supply and installation of the double-sided wood burning stove shown. 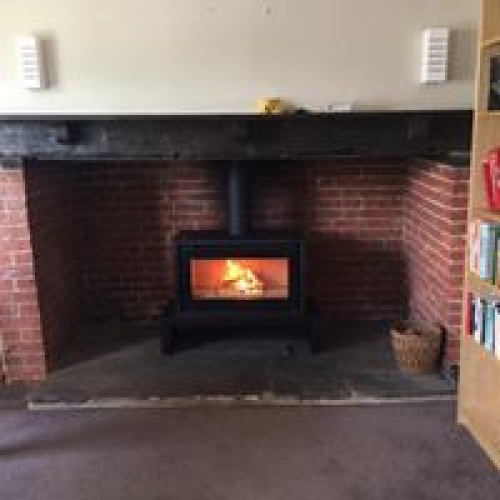 Contact us for advice, choice or survey. 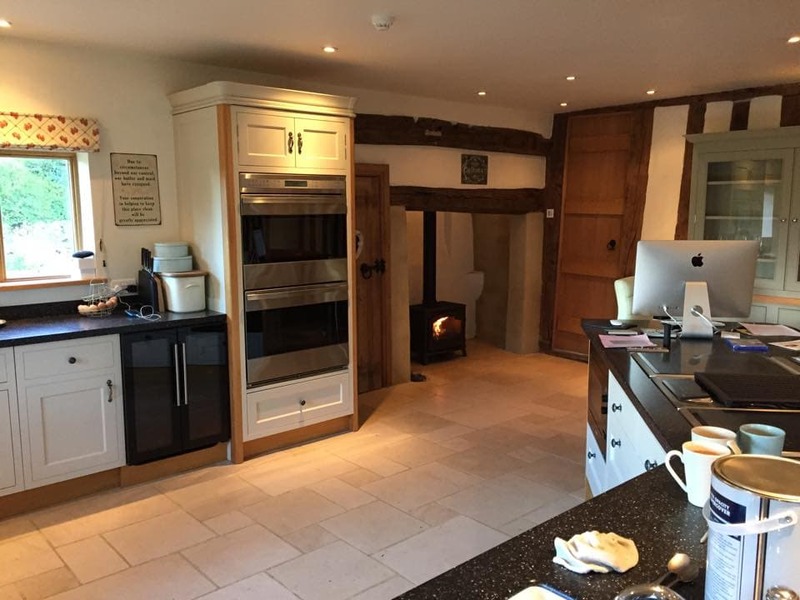 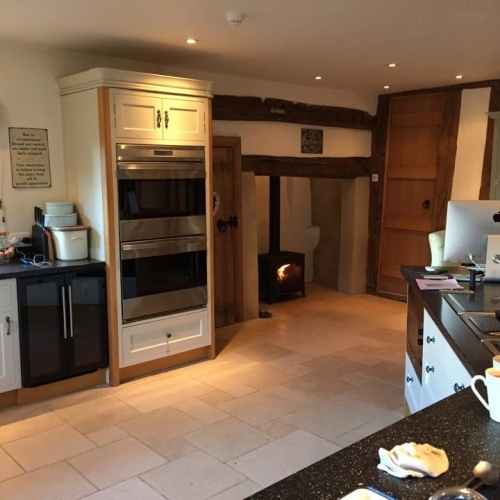 A traditional stove sitting nicely in the alcove of a modern fitted kitchen, with existing chimney. 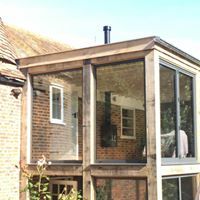 Is your conservatory freezing and unusable in winter? 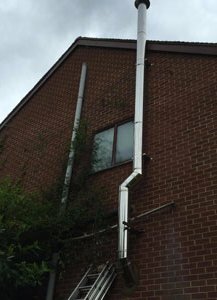 With no chimney we installed a twin wall insulated stainless steel system through the conservatory roof and up the side of the building. 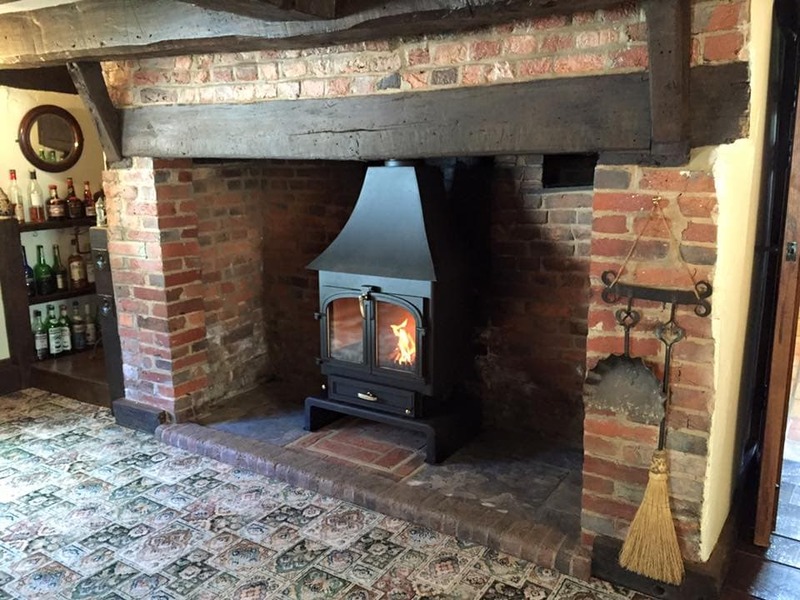 Now the owners use it more in winter than they did in summer! 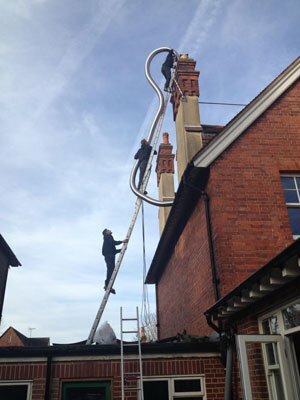 Pictures show the installation of a flexible chimney liner into the high chimney of a Victorian house. 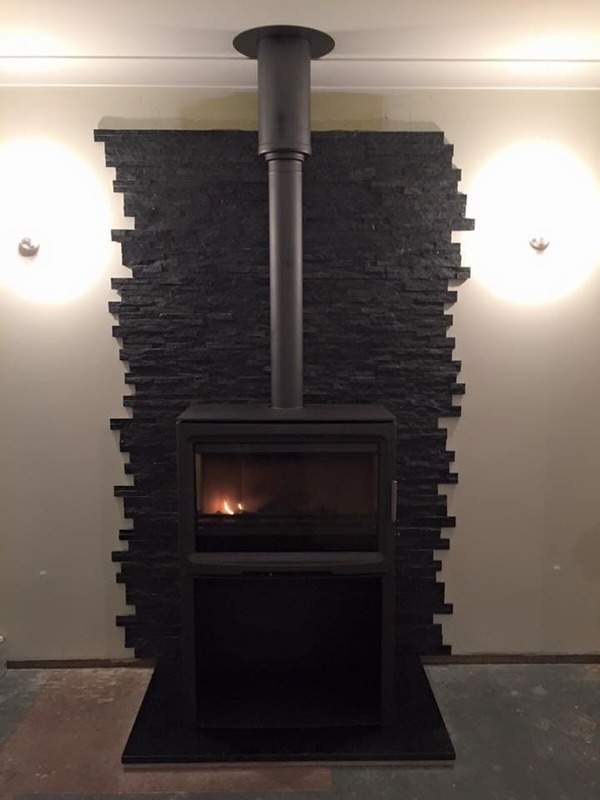 The liner is fed in from above and connected to a cowl at the top and directly into the stove below. 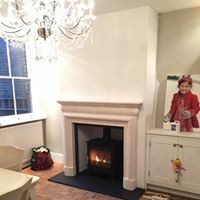 The finished result lit and running in the original Victorian fireplace. 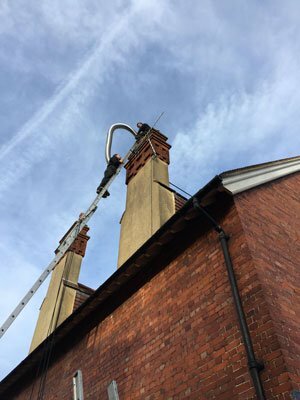 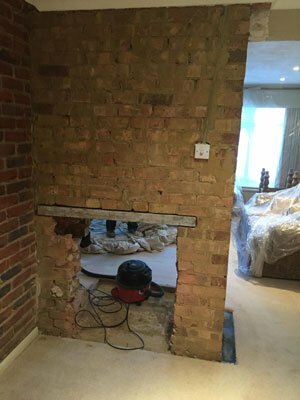 In the vast majority of cases, chimney work and the installation of a flexible liner can be carried out using ladders alone. 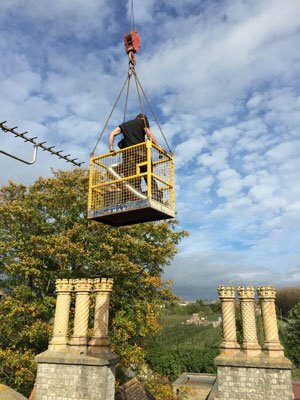 There are occasions though, when the only way to get to a chimney is with scaffolding or by a crane. 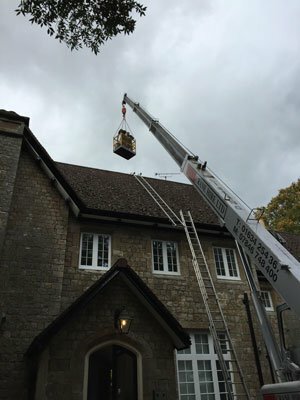 That was required at this installation we carried out recently, on a large country house in Kent. 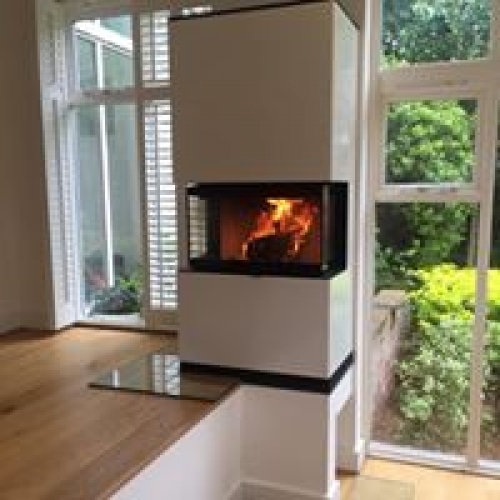 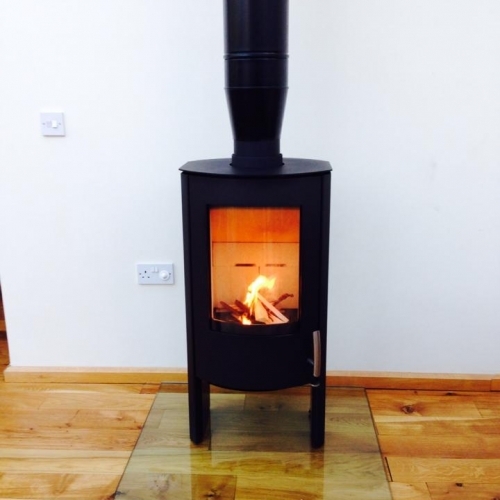 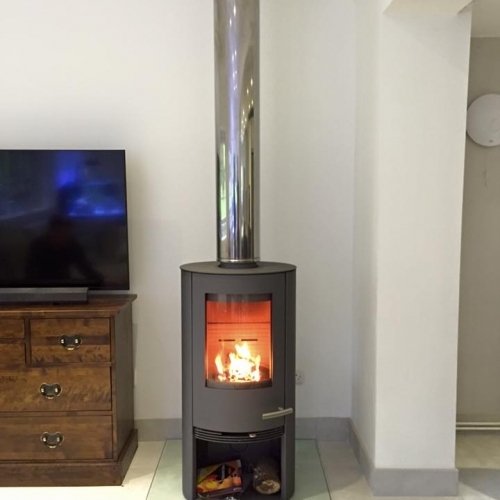 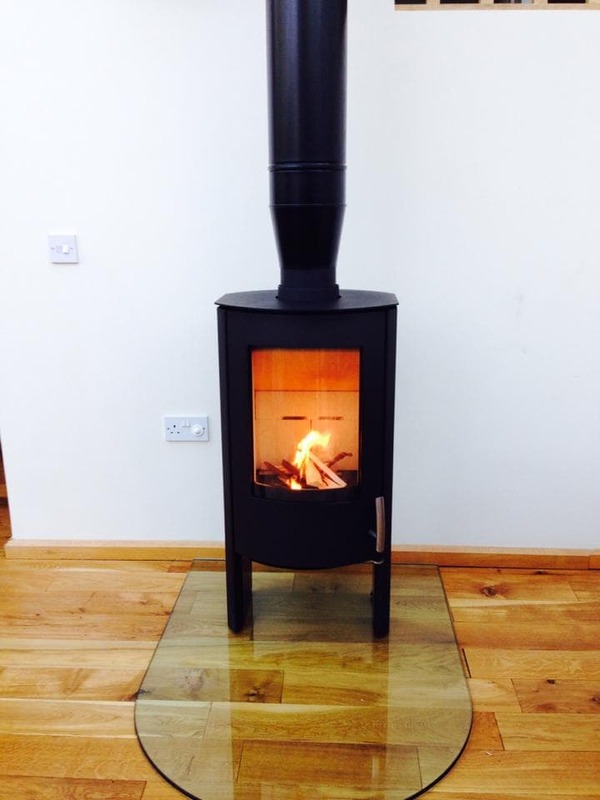 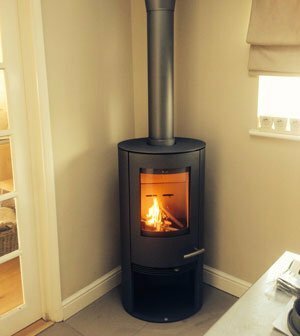 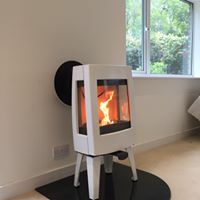 A contemporary double-sided stove we installed recently to serve two rooms. 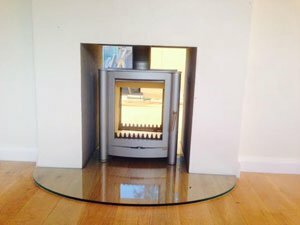 The stove sits on a toughened float-glass base exposing the wooden floor below. 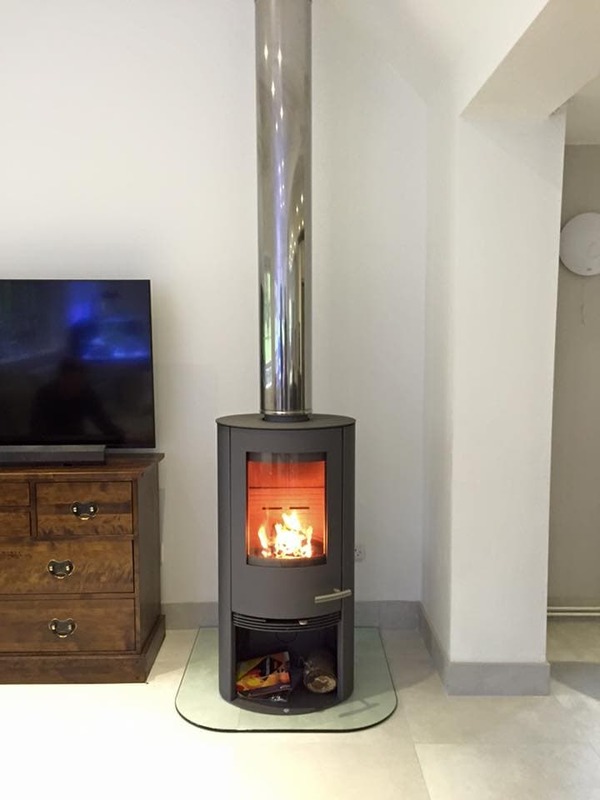 A Termatech TT20 we installed recently fits neatly in a corner. An Inset stove and fire surround / mantle we fitted into an existing fireplace and chimney. 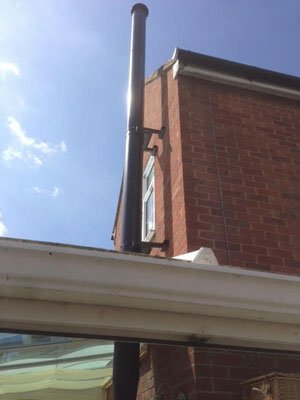 Here are some we’ve installed recently.